Every day I wear a pair of medallions around my neck with portraits of two of my role models: Harriet Tubman and Sojourner Truth. As a child I read books about Harriet Tubman and the Underground Railroad. She and indomitable and eloquent slave woman Sojourner Truth represent countless thousands of anonymous slave women whose bodies and minds were abused and whose voices were muted by slavery, Jim Crow, segregation and confining gender roles throughout our nation’s history. Although Harriet Tubman could not read books, she could read the stars to find her way north to freedom. And she freed not only herself from slavery, but returned to slave country again and again through forests and streams and across mountains to lead other slaves to freedom at great personal danger. She was tough. She was determined. She was fearless. She was shrewd and she trusted God completely to deliver her, and other fleeing slaves, from pursuing captors who had placed a bounty on her life. “’Twa’nt me. ’Twas the Lord. I always told Him, I trust You. I don’t know where to go or what to do, but I expect You to lead me. And He always did…On my underground railroad, I never ran my train off the track and I never lost a passenger,” she was quoted as saying. No train, bus or airline company can match this former slave woman’s safety record. And few of us could match her faithful partnership with God, determination to be free and willingness to help others to be free without thought about self-sacrifice. Now the entire nation will pay public homage to Harriet Tubman’s devotion to freedom, and also honor Sojourner Truth and other great women and Dr. Martin Luther King, Jr. who never stopped demanding and working to assure that America lives up to its declared creed of freedom, life, liberty, pursuit of happiness and equality for all. Kudos to the Treasury Department which has announced that Harriet Tubman’s face will grace the front of the redesigned $20 bill, making her the first woman in more than a century and first African American ever to be represented on the face of an American paper note. And it’s wonderful that she will not be alone. Sojourner Truth and women suffragette activists and leaders will be featured on the back of the $10 bill. Great contralto and opera singer Marian Anderson, for whom I was named and about whom great conductor Arturo Toscanini said “yours is a voice such as one hears once in a hundred years,” will be featured on the back of the $5 bill. First Lady Eleanor Roosevelt arranged for Marian Anderson to perform at the Lincoln Memorial before 75,000 in 1939 after the Daughters of the American Revolution refused to let her sing at Constitution Hall because she was not White. Mrs. Roosevelt and Dr. King will grace the back of the $5 bill rounding out the inspiring group of determined moral warriors who expanded the civil and human rights of women, people of color and all of us. Treasury Secretary Jacob Lew said he had an ‘a ha’ moment after recognizing the groundswell of public response to his announcement that the Treasury Department was considering changing the design of the $10 bill. To so many people these new treasury bills will be much more than pieces of paper. For too long and for too many money has been the most powerful symbol of what we value as a nation. Harriet Tubman, Sojourner Truth, Marian Anderson, Eleanor Roosevelt, Elizabeth Cady Stanton, Alice Paul, Susan B. Anthony, Lucretia Mott, and Martin Luther King, Jr. – their faces on American currency will send powerful messages about what – and who – we Americans are, value and strive to become. The new bills also will powerfully remind all Americans and teach our children and grandchildren that Black history and women’s history are American history. They will take us a giant step forward towards healing our nation’s profoundly crippling birth defects of slavery, Native American genocide, and exclusion of all women and non-propertied men of all races from our electoral process and ensuring full participation in our nation’s life. It is so important to make sure all of our children can see their ancestors pictured on something as basic as the money used every day by countless millions and this will deepen the meaning of how we define success in America. And to Black children who remain the poorest group in America, I hope Harriet Tubman and Sojourner Truth become anchor reminders of their great heritage of strength, courage, faith and belief in the equality of women and people of every color. None of us must ever give up fighting for freedom and equality and human dignity however tough the road. I hope all of our children and all of us will be inspired anew by our diverse and rich heritages and cultures as Americans and renew our determination to build a level playing field in our nation for every child and help our nation shine a brighter beacon of hope in a world hungering for moral example. 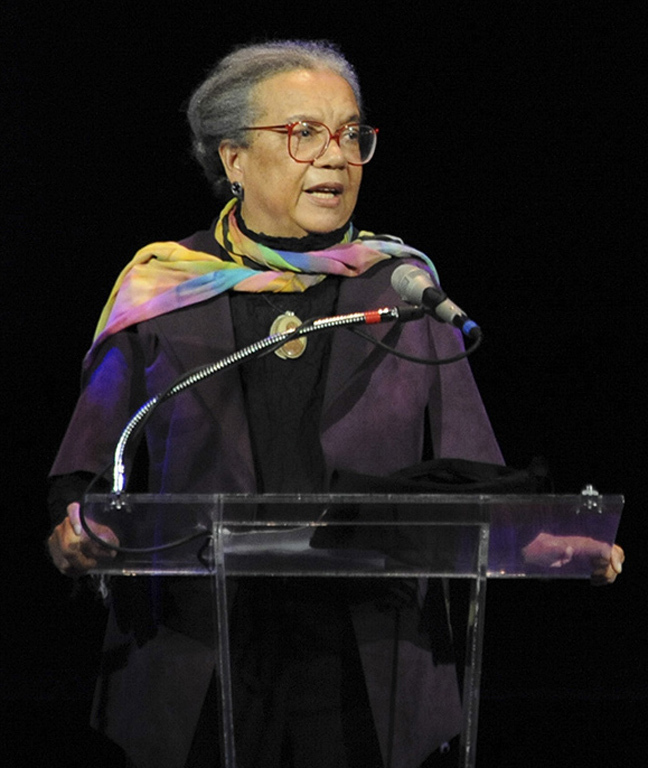 Marian Wright Edelman is the president of the Children’s Defense Fund whose Leave No Child Behind® mission is to ensure every child a Healthy Start, a Head Start, a Fair Start, a Safe Start and a Moral Startin life and successful passage to adulthood with the help of caring families and communities. For more information go to www.childrensdefense.org.